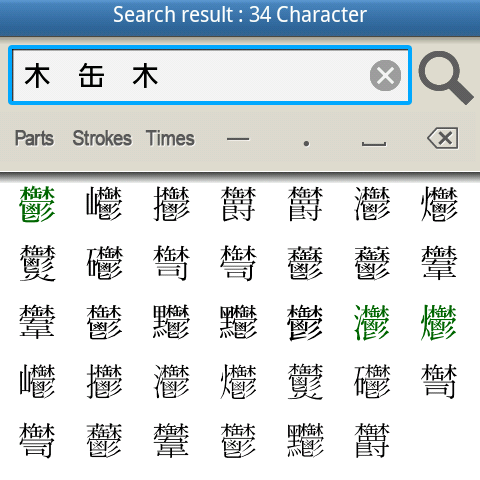 You can search characters even if you don't know the character's exact strokes, because you can specify the range of strokes. 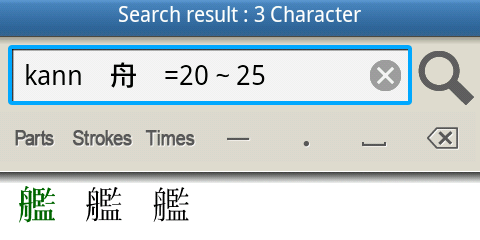 For example, if you input "kann 舟 ＝20～25" as the search criteria, you can refine search the one character "艦". As for the kanji character "艦", its reading is "kann", its strokes are in the range of 20-25, and it includes the part "舟".